Abundant views in every direction! Beautiful, custom stone/stucco 3101 sq. 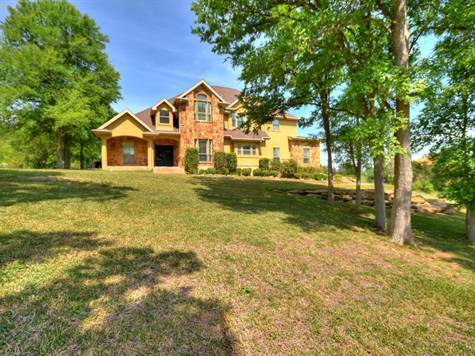 ft. home is situated on 1.553 acres with panoramic views for miles. This is truly a home designed for entertaining with one-of-a-kind backyard oasis which includes sparkling pool, fire pit and spacious covered cabana with brick fired pizza oven, grill/burner and dining area. Outdoor lifestyle at its finest, right at home! Landscaping stones terrace the front yard. Recent paint and carpet throughout. Pool safety cover, sun shades and raised bed gardens.